St. Tropez, France…this destination is beautiful but it can be harmful to your wallet! I have prided myself this trip on creating major wows on a fairly low budget! Usually, I live by a “Don’t worry, live it up…it’s vacation!” mentality when I travel. But when the trip is 4 months long, that policy needs to be re-examined! The 5 star hotels like Hotel Sezz or Hotel Byblos start at $500 a night and more often hover around $1000 a night! 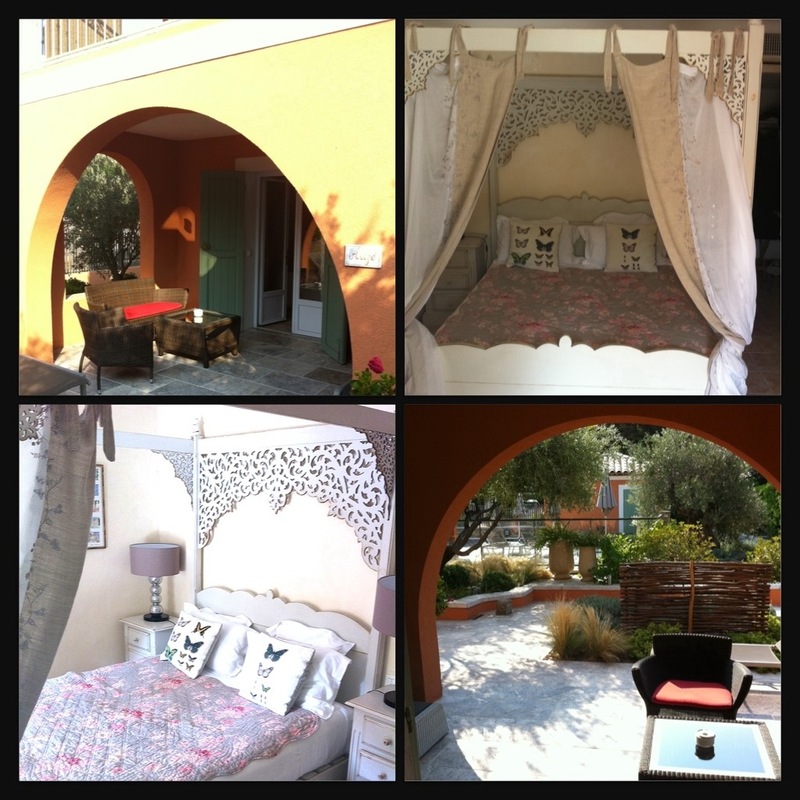 I found a lovely French hotel, Hotel Mouillage, and by booking in advance secured a rate well under $200. 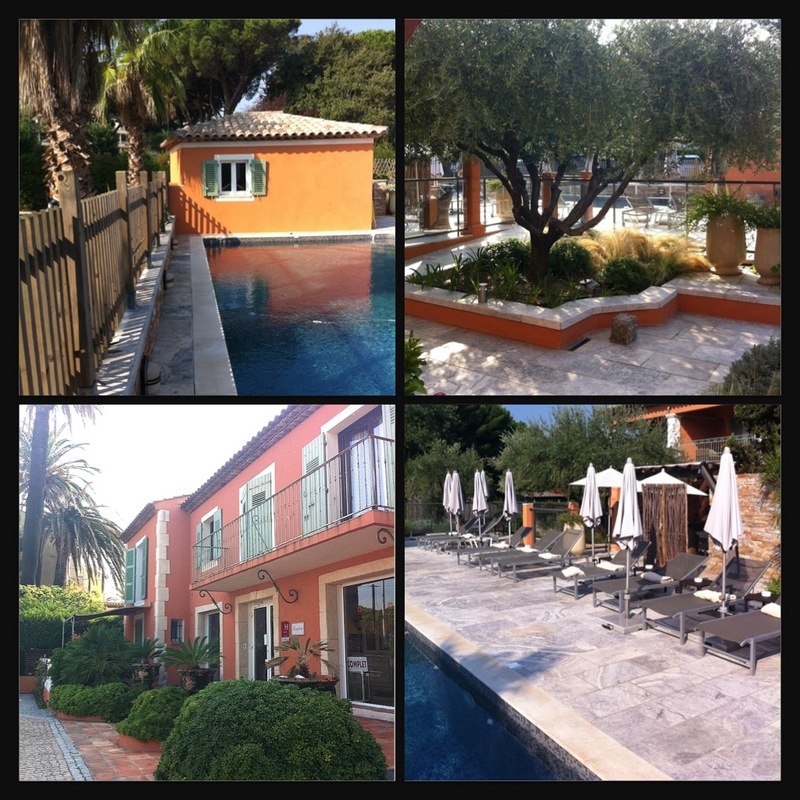 I was worried, but it’s a lovely French style hotel…clean, air conditioned, and decorated in a Provencal style…I have an amazing room with large terrace overlooking their great pool and gardens! Plus, its walking distance to town which saves on overpriced taxis! A total Score! I stocked up on drinks and snacks at the grocery store and there are a plethora of take out places, gourmet shops, and little bakeries that have delicious delicacies for take out! I would do dinner on my private terrace for $10-15 and really have a lovely and relaxing time. Grazing on authentic cous-cous, rich salads, delicious sandwiches, or amazing French pizza! Then it was off to town nightly to enjoy the parade of yachts and the energy of the beautiful harbor! I wasn’t luxuriating on a yacht, rubbing elbows with celebrities, power shopping at Hermes, or indulging in bottles of champagne…but I created my own “lifestyles of the rich and famous” week in the home of Brigitte Bardot, St. Tropez!